For other people named Henry Smyth, see Henry Smyth (disambiguation). Not to be confused with Harry Smyth. Henry DeWolf "Harry" Smyth (/ˈhɛnri dəˈwʊlf ˈsmaɪθ/; May 1, 1898 – September 11, 1986) was an American physicist, diplomat, and bureaucrat. He played a number of key roles in the early development of nuclear energy, as a participant in the Manhattan Project, a member of the U.S. Atomic Energy Commission (AEC), and U.S. ambassador to the International Atomic Energy Agency (IAEA). Educated at Princeton University and the University of Cambridge, he was a faculty member in Princeton's Department of Physics from 1924 to 1966. He chaired the department from 1935 to 1949. His early research was on the ionization of gases, but his interests shifted toward nuclear physics beginning in the mid-1930s. During World War II he was a member of the National Defense Research Committee's Uranium Committee and a consultant on the Manhattan Project. He wrote the Manhattan Project's first public official history, which came to be known as the Smyth Report. On the AEC from 1949 to 1954, Smyth argued unsuccessfully against a crash course to develop the hydrogen bomb and in favor of international control of nuclear weapons. He was the sole member of the commission to vote against stripping J. Robert Oppenheimer's security clearance. As IAEA ambassador from 1961 to 1970 he played an important role in the realization of the Nuclear Non-Proliferation Treaty. He received the Atoms for Peace Award in 1968 and the U.S. State Department's Distinguished Honor Award in 1970. The American Nuclear Society's award for "nuclear statesmanship", of which he was the first recipient, is named in his honor. Smyth was born May 1, 1898, in Clinton, New York, to Ruth Anne Phelps and Charles Henry Smyth, Jr., a professor of geology at Hamilton College. Woodrow Wilson, then President of Princeton University, convinced Smyth père to join the faculty at Princeton, and in 1905 the family moved to Princeton, New Jersey. Henry DeWolf Smyth's elder brother, Charles Phelps Smyth, attended the same primary and secondary schools as Henry. The elder brother also received undergraduate and master's degrees from Princeton, but in chemistry. He earned his Ph.D. at Harvard University but like Henry and their father became a faculty member at Princeton. Both brothers served in the Chemical Warfare Service in World War I and on the Manhattan Project. Henry DeWolf Smyth married Mary de Coningh on June 30, 1936. He was a member of the Democratic Party. Smyth was educated at Princeton University and spent much of his academic career there. Pictured is Nassau Hall. In Princeton, Smyth attended Miss Fine's School, which later became the Princeton Day School, and the Lawrenceville School. After graduating from Lawrenceville in 1914, he entered Princeton University, where he received a classical education and graduated first in his class in 1918. He was elected to Phi Beta Kappa and Sigma Xi. Smyth remained at Princeton to do graduate work; he and Allen Shenstone were the only graduate students in the Department of Physics. Smyth earned a master's degree and Ph.D. in physics from Princeton in 1920 and 1921, respectively, studying under Karl Taylor Compton. The U.S. National Research Council awarded Smyth a fellowship, and he joined the Cavendish Laboratory at the University of Cambridge. There he studied under Ernest Rutherford and earned a second Ph.D. in 1923. At Cambridge he was affiliated with Caius College and formed a friendship with Pyotr Kapitsa, a Soviet physicist who would go on to win the Nobel Prize in Physics and work briefly on the Soviet atomic bomb project. During World War I, Smyth worked in the Chemical Warfare Service and at the Aberdeen Proving Ground. After earning his second Ph.D., he returned to Princeton for the last year of his NRC fellowship. During his early years on the Princeton faculty he lived in the Graduate College west of the main campus. He was appointed an instructor in 1924, an assistant professor in 1925, an associate professor in 1929, and a full professor in 1936. In 1935 he became chairman of the Department of Physics, a position he held until 1949. During 1931–32 he was a Guggenheim Fellow at the University of Göttingen, where he studied the spectra of triatomic molecules, particularly carbon dioxide, with James Franck. Smyth's early research was in spectroscopy, focusing on ionization of gases by impact with electrons as a means to study the gases' critical energy levels. He published his first research article, on the radiating potentials of nitrogen gas, in 1919; this became the basis of his first dissertation. In a 1922 article, he described a method for determining the ionization energy of a molecule using anode rays and demonstrated the method on mercury vapor. In the following year he used this same method to study nitrogen. He also published on the ionization of hydrogen, carbon dioxide, nitrous oxide, nitrogen dioxide, water vapor, sulfur dioxide, and carbon disulfide. As Robert H. Dicke, Val Logsdon Fitch, and Rubby Sherr wrote in 1989, "By 1935 his 30 published papers established him as a leading experimentalist" in the field. In 1929 Kenneth Bainbridge completed his Ph.D. dissertation at Princeton working under Smyth, using anode rays to search for element 87. In the mid-1930s, Smyth began to shift his interest to nuclear physics, inspired by James Chadwick's discovery of the neutron, John Cockcroft and Ernest Walton splitting the atom, and Ernest Lawrence's invention of the cyclotron. Three of his last research articles concerned detection of triatomic hydrogen and helium-3. His appointment as department chair forced him to devote more time to administrative work, at the expense of research. Richard Feynman had achieved an unprecedented perfect score on the Princeton University entrance exams, and applied for admission. While department chair, Smyth questioned his admission, writing to Philip M. Morse to ask: "Is Feynman Jewish? We have no definite rule against Jews but like to keep their proportion in our department reasonably small". Morse conceded that Feynman was indeed Jewish, but reassured Smyth that Feynman's "physiognomy and manner, however, show no trace of this characteristic". As department chair, he had two cyclotrons built at Princeton, one in 1935 and the other in 1946. He was a member of the subcommittee on physics of the National Research Council from 1928 to 1935. In 1936 Smyth responded to media criticism of basic science research as "useless" by suggesting that seemingly useless research could turn out to be very useful later. Smyth (right) with Richard Tolman, who chaired the Postwar Policy Committee. During World War II, Smyth was involved in helping the United States build the atomic bomb. From 1941–43 he was a member of the National Defense Research Committee (NDRC)'s Uranium Committee charged with producing fissile material for the bomb. Smyth proposed the electromagnetic methods that were used to enrich the first large U-235 samples for the project. He also oversaw a nuclear fission-related project for the Office of Scientific Research and Development (OSRD). During 1943–45 he was a consultant to the Manhattan Project, which built and tested the weapon, and associate director of the University of Chicago's Metallurgical Laboratory, which contributed to the Manhattan Project. At the Metallurgical Laboratory he headed research on heavy water. He remained chairman of Princeton's physics department throughout the war, and the attendant obligations forced him to participate less actively in the project's later stages. In August 1944 General Leslie Groves, director of the Manhattan Project, appointed Smyth to the Postwar Policy Committee, which was charged with proposing government policy for research and development of atomic energy after the war was over. The committee recommended that a national commission modeled on the OSRD fund and oversee continued production and fundamental research in government laboratories, universities, and the private sector. Smyth advocated within the NDRC for a comprehensive report to be released to the public following the weapon's first use. 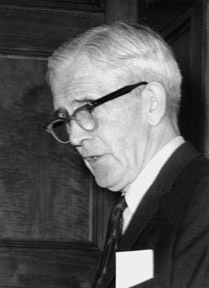 Vannevar Bush, who as civilian director of the OSRD oversaw the NDRC, agreed, and selected Smyth to write the report following the recommendation of NDRC chairman James Bryant Conant. Groves granted Smyth unlimited access, waiving his usual security-minded insistence on compartmentalization. Smyth wrote what became known as the Smyth Report in his office in Princeton's Palmer Laboratory, which later became the Frist Campus Center. The report was first released to the press on August 12, 1945, days after the attacks on Hiroshima and Nagasaki. The Government Printing Office could not print enough copies to meet demand, so Smyth persuaded the director of the Princeton University Press to print more. By the end of the Press's 1946 fiscal year it had printed 103,000 copies. Smyth held the copyright to the work to prevent others from claiming it, but he permitted widespread reproduction, essentially releasing it into the public domain. He later reported that "my financial balance from the Smyth Report is minus two dollars, the copyright fee." In the report, Smyth called it "a semi-technical report which it is hoped men of science in this country can use to help their fellow citizens in reaching wise decisions" in the new Atomic Age. At the urging of his superiors, he removed several discussions of the bomb's moral implications and its creators' unease. Rebecca Press Schwartz argues that Smyth's academic background and his report's security-driven focus on physics at the expense of engineering caused the Smyth Report to promote a public perception of the Manhattan Project as primarily an achievement of physicists. Smyth was a member of the U.S. Atomic Energy Commission from 1949 to 1954. Following the war, Smyth returned full-time to his duties at Princeton. He continued to chair the Physics Department and was named the Joseph Henry Professor of Physics in 1946. During this time he spoke and wrote regularly about nuclear energy and science policy and worked to expand the physics department. In early 1949, physicist Robert Bacher stepped down from the Atomic Energy Commission. He and AEC Chairman David Lilienthal wanted a physicist to replace Bacher, and they ultimately recommended Smyth for the position. President Harry Truman nominated Smyth to the AEC later that year, prompting Smyth resign as Physics Department chairman. (His old colleague Allen Shenstone took up the post.) Smyth was the commission's only scientist. He spent his first weeks in the position attending hearings of the U.S. Congress's Joint Committee on Atomic Energy. Led by Senator Bourke Hickenlooper, the hearings inquired into a small amount of uranium that was alleged to be unaccounted for in AEC labs. Smyth later condemned the hearings as grounded in misconceptions about the work of nuclear scientists. Following the Soviet Union's successful nuclear test in August 1949, the U.S. was considering a crash course to develop a hydrogen bomb. The AEC's nine-member General Advisory Committee, chaired by J. Robert Oppenheimer, recommended unanimously against such a course, and Smyth was one of three of the five AEC commissioners to agree. Smyth urged Truman to endorse international control of nuclear weapons, but Truman decided instead to authorize a hydrogen bomb program. In his autobiography, Smyth's Princeton colleague John Archibald Wheeler recalled that Smyth recruited him to the Ivy Mike hydrogen bomb project and expressed support for the project in response to the Soviet test. In 1953 Smyth and John A. Hall served as principal advisors to President Dwight Eisenhower in preparing his Atoms for Peace speech to the United Nations. The IAEA traces its origins to this speech. In 1954 the AEC was considering rescinding Oppenheimer's security clearance on suspicion that he was a Communist. Smyth was still the only scientist on the commission. Despite his personal dislike of Oppenheimer and pressure from the commission's new chairman, Lewis Strauss, Smyth was the sole commissioner to vote against stripping Oppenheimer's clearance on June 29, 1954. Smyth resigned from the AEC on September 30 of that year out of frustration with Strauss. Eulogizing Oppenheimer in 1967, Smyth said of Oppenheimer's treatment, "Such a wrong can never be righted; such a blot on our history never erased.... We regret that his great work for his country was repaid so shabbily". Smyth returned to Princeton and served on several high-level administrative committees. This work included advising on the construction of a particle accelerator built jointly with the University of Pennsylvania and overseeing Project Matterhorn, which became the Princeton Plasma Physics Laboratory. He chaired the committee that chose Robert F. Goheen to succeed Harold W. Dodds as President of Princeton. He also served as a consultant on nuclear power to Congress, the AEC, and private industry. He retired from Princeton in 1966. Smyth was a fellow of the American Physical Society and served as its Vice President in 1956 and its President in 1957. He was elected to the American Philosophical Society in 1947 and the American Academy of Arts and Sciences in 1956. He was a member of the Council on Foreign Relations. President John F. Kennedy appointed Smyth as the representative of the United States to the IAEA, a position with the rank of Ambassador. Smyth assumed the position on June 13, 1961, following confirmation by the U.S. Senate. Smyth shared the organization's stated goal of developing nuclear technology for peaceful purposes. He helped develop what Glenn Seaborg later called "an unprecedented atmosphere of rapport" at the IAEA and played a crucial role in the adoption of the Nuclear Non-Proliferation Treaty in 1970. He retired from the IAEA on August 31, 1970. In September 1961, Harlan Cleveland, then Assistant Secretary of State for International Organization Affairs, appointed Smyth to chair a committee to review U.S. policy toward the IAEA. The committee's report affirmed the importance of civilian uses of nuclear energy. In 1962 Cleveland again tapped Smyth, this time as an adviser to the State Department on the IAEA. In this position Smyth advocated for a transfer of national nuclear safeguards to the IAEA. In December 1965, Smyth was elected Chairman of the Board of the Universities Research Association. During Smyth's tenure, the URA signed a contract with the U.S. government to construct and operate the National Accelerator Laboratory, which later became known as Fermilab. Construction began, and research programs were planned. Smyth stepped down as chairman in 1970 but remained on the board. He also served on the board of Associated Universities, Inc., which operated the Brookhaven National Laboratory and National Radio Astronomy Observatory. Smyth received the Atoms for Peace Award in 1968 (with Sigvard Eklund and Abdus Salam) and the State Department's Distinguished Honor Award in 1970. In 1972 he became the first recipient of an award for nuclear statesmanship given jointly by the American Nuclear Society and the Nuclear Energy Institute. By 1974, when the award was next given, it had been named the Henry DeWolf Smyth Nuclear Statesman Award. After retiring from the IAEA, Smyth remained active. On the 40th anniversary of the Trinity test in 1985, he denounced President Ronald Reagan's Strategic Defense Initiative and called for joint arms reductions between the United States and the Soviet Union. He died September 11, 1986, in Princeton. The cause was cardiac arrest, though he had long battled cancer. Smyth endowed a chair in the Physics Department in his will. The sitting Henry DeWolf Smyth Professor of Physics is Suzanne Staggs. ^ a b c d e f g h i j k l m Dicke, Fitch & Sherr. ^ a b c Hunt, Morton M. (1949-11-12). "Mr. Atom". The Spokesman-Review. ^ a b c d e f g h i j k l m n o p q r s t u v w x y American Philosophical Society biography. ^ a b Kauzmann, Walter; Roberts, John D. (2010). Charles Phelps Smyth, 1895–1990 (PDF). National Academy of Sciences. Retrieved October 26, 2011. ^ a b Bird & Sherman, pp. 544–6. ^ "About Princeton Day School: History". Princeton Day School. Archived from the original on September 28, 2011. Retrieved October 26, 2011. ^ Van Atta, Burr (1986-09-12). "Henry Dewolf Smyth, 88, physicist". The Philadelphia Inquirer. Retrieved October 26, 2011. ^ a b Shenstone, Allen Goodrich (Autumn 1982). "Princeton 1910–1914" (PDF). Princeton University Library Chronicle. 44 (1): 25–41. Retrieved November 20, 2011. ^ "The alumni: '18". Princeton Alumni Weekly: 405. 1922-02-15. Retrieved December 6, 2011. This morning I had an abusive card from Harry Smyth, who is spending a year at Cambridge, Caius College, as a National Research Fellow in Physics. ^ "Pyotr Leonidovich Kapitsa". Encyclopædia Britannica. Retrieved 2014-01-19. ^ a b c d e f Schwartz. ^ Morse, Philip McCord (1977). In at the Beginnings: A Physicist's Life. MIT Press. p. 58. Retrieved December 6, 2011. ^ John Simon Guggenheim Memorial Foundation. "Henry DeWolf Smyth". Archived from the original on 2014-12-04. Retrieved 2014-09-21. ^ Smyth, H. D. "The radiating potentials of nitrogen". Physical Review. 14 (5): 409–26. Bibcode:1919PhRv...14..409S. doi:10.1103/physrev.14.409. Retrieved November 20, 2011. ^ Smyth, H. D. (1922). "A new method for studying ionising potentials" (PDF). Proceedings of the Royal Society A. 102: 283–93. Bibcode:1922RSPSA.102..283S. doi:10.1098/rspa.1922.0086. Retrieved November 20, 2011. ^ Smyth, H. D. (1923). "The ionisation of nitrogen by electron impact" (PDF). Proceedings of the Royal Society A. 104: 121–34. Bibcode:1923RSPSA.104..121S. doi:10.1098/rspa.1923.0098. Retrieved November 20, 2011. ^ Smyth, H. D. (1925). "Primary and secondary products of ionization in hydrogen". Physical Review. 25: 452–68. Bibcode:1925PhRv...25..452S. doi:10.1103/physrev.25.452. ^ Smyth, H. D.; Stueckelberg, E. C. G. (1930). "The ionization of carbon dioxide by electron impact". Physical Review. 36: 472–77. Bibcode:1930PhRv...36..472S. doi:10.1103/PhysRev.36.472. ^ Stueckelberg, E. C. G.; Smyth, H. D. (1930). "The ionization of nitrous oxide and nitrogen dioxide by electron impact". Physical Review. 36: 478–81. Bibcode:1930PhRv...36..478S. doi:10.1103/PhysRev.36.478. ^ Smyth, H. D.; Mueller, D. W. (1933). "The ionization of water vapor by electron impact". Physical Review. 43: 116–20. Bibcode:1933PhRv...43..116S. doi:10.1103/PhysRev.43.116. ^ Smyth, H. D.; Mueller, D. W. (1933). "The ionization of sulfur dioxide by electron impact". Physical Review. 43: 121–22. Bibcode:1933PhRv...43..121S. doi:10.1103/PhysRev.43.121. ^ Smyth, H. D. (1934). "Ionization of carbon disulfide by electron impact". Physical Review. 46: 276–77. Bibcode:1934PhRv...46..276S. doi:10.1103/PhysRev.46.276. ^ Gleick, James (1992). Genius: The Life and Science of Richard Feynman. Pantheon Books. ISBN 0-679-40836-3. OCLC 243743850. ^ Gleick 1992, p. 84. ^ "Frist Campus Center timeline". Princeton University. Retrieved October 26, 2011. ^ Smith, Datus C. (Spring 1976). "The publishing history of the 'Smyth Report'" (PDF). The Princeton University Library Chronicle. 37 (3): 191–200. Retrieved October 27, 2011. ^ Smyth, Henry DeWolf (Spring 1976). "The 'Smyth Report'" (PDF). The Princeton University Library Chronicle. 37 (3): 173–89. Retrieved October 27, 2011. ^ Smyth, Henry DeWolf (1945). Atomic energy for military purposes; the official report on the development of the atomic bomb under the auspices of the United States Government, 1940–1945. ^ Gordin, Michael D. (2010). Red Cloud at Dawn: Truman, Stalin, and the End of the Atomic Monopoly. Picador. p. 210. ^ Wheeler, John Archibald (2000). Geons, Black Holes, and Quantum Foam: A Life in Physics. W. W. Norton & Co. pp. 188–9. ^ a b "Atoms for Peace Awards" (PDF). IAEA Bulletin. 10 (5): 10–11. 1968. Archived from the original (PDF) on December 3, 2013. Retrieved October 29, 2011. ^ Fischer, David (1997). History of the International Atomic Energy Agency: The First Forty Years (PDF). IAEA. p. 1. Retrieved October 29, 2011. ^ "IAEA timeline". BBC News. August 9, 2011. Retrieved October 29, 2011. ^ Nuclear Regulatory Legislation. Government Printing Office. 2008. p. 271. Retrieved October 28, 2011. ^ Quoted in Bird & Sherwin, p. 5. ^ "The Goheen years". The Daily Princetonian. 2008-04-01. Archived from the original on 2012-06-14. Retrieved October 29, 2011. ^ "Representative of the U.S.A. to the International Atomic Energy Agency (Vienna)". U.S. State Department Office of the Historian. Retrieved October 26, 2011. ^ Quoted in the American Philosophical Society biography. ^ "Henry DeWolf Smyth". U.S. State Department Office of the Historian. Retrieved October 26, 2011. ^ Ramsey, Norman F. "The early history of URA and Fermilab". Fermilab. Retrieved October 29, 2011. ^ "Henry DeWolf Smyth Nuclear Statesman Award". American Nuclear Society. Retrieved October 29, 2011. ^ "Recipients: Henry DeWolf Smyth Nuclear Statesman Award". American Nuclear Society. Retrieved October 29, 2011. ^ McQuiston, John T. (1986-09-14). "Dr. Henry Smyth, ex-member of atom panel". The New York Times. Retrieved 2014-02-10. ^ "Henry Smyth; wrote report on 1st A-bomb". Los Angeles Times. Times Wire Services. 1986-09-18. Retrieved October 29, 2011. ^ "A family (faculty) chair". Princeton University. January 2010. Retrieved October 29, 2011. ^ "Princeton News". Princeton University. Retrieved 2014-12-11. "Henry DeWolf Smyth papers, 1885–1987". American Philosophical Society. Archived from the original on April 29, 2012. Retrieved October 26, 2011. Bird, Kai; Sherwin, Martin J. (2005). American Prometheus: The Triumph and Tragedy of J. Robert Oppenheimer. Alfred A. Knopf. ISBN 978-0-375-41202-8. Dicke, Robert H.; Fitch, Val; Sherr, Rubby (May 1989). "Henry DeWolf Smyth". Physics Today. 44: 96–8. Bibcode:1989PhT....42e..96D. doi:10.1063/1.2811031. Jones, Vincent C. (1985). Manhattan: The Army and the Atomic Bomb (PDF). United States Army Center of Military History. OCLC 317768199. Schwartz, Rebecca Press (September 2008). The making of the history of the atomic bomb: Henry DeWolf Smyth and the historiography of the Manhattan Project (Ph.D. thesis). Princeton University. OCLC 658981948. This page was last edited on 23 January 2019, at 05:00 (UTC).